And while age can play a big part in droopy lobes, another factor can be wearing heavy earrings too often. But if going under the knife isn’t exactly something you would want to do, scientists have been developing other methods as well. “Most clients want to have their ears plumped up with a bit of filler, to make them look younger and fuller. It’s quick, easy and relatively pain-free,” said Lesley. Ear deformities occur in a number of conditions. Some patients are born with absent (microtia), protruding or drooping ears, due to weak or poorly formed cartilage. Traumatic deformities of the ear also occur due to trauma (e.g. car wreck or dog bite) or torn earlobes. 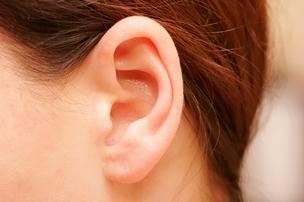 Deformity of the ears may cause social anxiety and may make children vulnerable to teasing. Regardless of the origin of the ear deformity, these ear conditions can be surgically corrected. These procedures do not alter the patient’s hearing, but they may improve appearance and self-confidence. The surgery begins with an incision behind the ear, in the fold where the ear joins the head. The surgeon may remove skin and cartilage or trim and reshape the cartilage. In addition to correcting protrusion, ears may also be reshaped, reduced in size, or made more symmetrical. The cartilage is then secured in the new position with permanent stitches which will anchor the ear while healing occurs.Typically otoplasty surgery takes about two hours. The soft dressings over the ears will be used for a few weeks as protection, and the patient usually experiences only mild discomfort. Headbands are sometimes recommended to hold the ears in place for a month following surgery or may be prescribed for nighttime wear only.